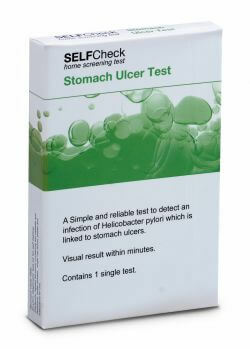 A simple and reliable test to detect an infection of helicobacter pylori which is linked to stomach ulcers. Always consult your doctor if the test is positive, or if it is negative and you remain concerned about your health, or if symptoms persist. Keep out of reach and sight of children. Store between 4 degrees celcius and 30 degrees celcius. 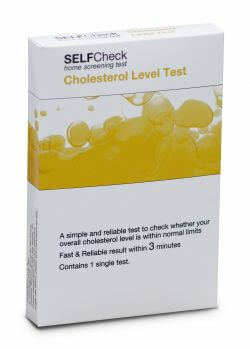 This test can be performed quickly at any time of day. 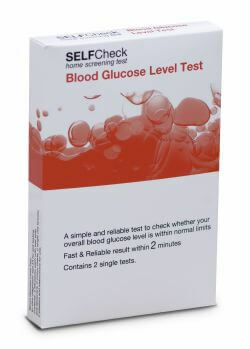 Please read the instruction leaflet for full details on how to perform the test and how to interpret the results. 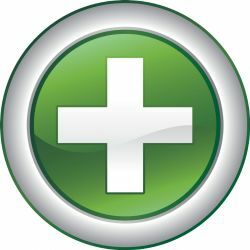 NOTE: If you have already been infected with Helicobacter Pylori in the past and the infection was eliminated using atibiotics, this test may yeild a positive reading even more then one year after treatment, although the infection is no longer present. Sealed pouch containing test and desiccant. Buffer solution, single use lancet, plaster and instructions for use. Please read the the information leaflet carefully before performing the test. Use test and lancet only once. Do not use after the expiry date. Do not ingest buffer solution. For external use only. After use, the test components can be disposed of with normal household waste. There is no danger from any test component, provided you have used all the components according to the instruction leaflet.